Disclaimer: At time of writing, I am a member of the Board of Directors for Radio Amateurs of/du Canada. However, this article reflects my own personal views and not those of the organization. As I write this, I’ve just been re-elected to the Board of Directors for Radio Amateurs of/du Canada. I’m glad to be able to continue in my role and am looking forward to continuing to work with the Board, Executive and Membership to further the goals of the organization as a whole, and the betterment of Amateur Radio in Canada in general. One of my responsibilities as a Regional Director is to be the face of RAC in my constituent area. I do this mostly by speaking at club meetings and attending hamfests (flea-markets, swapmeets, etc..). This gives me a chance to talk to as many Hams as possible. I meet a lot of Hams who are RAC members, but I also meet plenty who aren’t. One of the questions I often face is “Why should I join RAC?” It is a very simple question, but one with many answers. (Note: I’m quite sure that this isn’t a question asked only by Canadian Hams – I would assume that UK Hams ask the same question of the RSGB, American Hams ask the same question of the ARRL, and so forth. This piece of writing will deal with the Canadian answer, but some of what I write here may deal with national Amateur Radio societies in different countries). RAC offers certain services to its members and affiliated clubs. One of the most popular services that it provides is the RAC Insurance Program. This is a CDN $5M liability insurance policy for Amateur Radio-based activities undertaken by RAC-affiliated and incorporated Amateur Radio clubs in Canada. This can be as simple as a policy to show to a facility that clubs rent for meetings, or covering a club’s Field Day activites. One of the interesting benefits of this policy is that RAC members who are members of a RAC-affiliated club who belong to the RAC Insurance Program also have their personal Amateur Radio-related activites covered by this policy. There are very specific requirements to become part of this program, but it is a cruicial service in this day and age where we’re asked to provide proof of insurance for what may seem the most mundane of activities. One of the most popular tangible benefits of RAC membership is our bimonthly publication, The Canadian Amateur. The magazine comes to our members either in the original print magazine format, or for those who want to save a few bucks on their membership dues, in electronic format via the website. It contains information and content written by Canadian hams, geared toward Canadian hams. 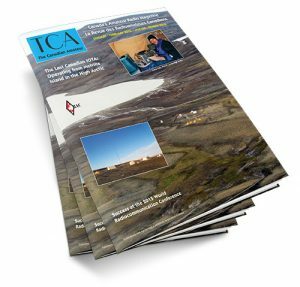 I know many members who look forward TCA being published, and we are very lucky to have the resources to continue this great service. I often hear people ask me about the median age of the average Amateur Radio operator in Canada, and the fact that so you see so much grey hair at club meetings and Hamfests (at least you guys still have your hair). Although our hobby is actually growing at twice the rate of population growth in Canada, RAC recognizes the importance of getting younger people involved in the hobby. One one front, RAC sponsors an educational grant program geared toward students in “STEM” programs (Science, Technology, Engineering and Mathematics). Additionally, RAC administers a youth education program designed to get Amateur Radio into schools, thus exposing more kids to this very rewarding hobby. RAC provides national QSL Bureau services as well. Any member who wants to send QSL card via the Bureau just has to follow the instructions on the website. All incoming QSL cards to Canada are received by RAC, and then sent on to the various Provincial groups that manage the distribution of the incoming cards. RAC also manages the CEPT and IARP permit assignments for Canadian Hams who want to operate internationally. RAC sponsors the Amateur Radio Emergency Service, and provides training and guidance to the RAC Field Service through the Section Managers. It should be noted here that RAC does not manage ARES, or any agency relationships due to the lack of a national emergency management infrastructure , and disparate nature of the provincial and municipal agencies who might benefit from an Amateur Radio-based volunteer communications contingency. What RAC does is provide training to those who participate in ARES programs, as well as to those who act as coordinators in those programs, to try to ensure a uniform knowledge base. As well, since most of the work that ARES groups do are community-service based (i.e. : providing communications for events such as parades, walk-a-thons, etc..), and since most ARES groups are attached to an Amateur Radio club, those groups are often able to take advantage of the aforementioned Insurance Program to cover these activities as well. So that’s what RAC does that most people can point to and identify, and in some cases “touch and feel.” But what else does RAC do? I would suggest that the most important work that RAC does isn’t something that the average Ham or member sees, but that is vital to the survival and betterment of the hobby and service. RAC is the organization that our regulator interfaces with. In this case, our regulator is Industry, Science and Economic Development Canada, or ISEDC. (known formerly as Industry Canada (IC), and the Department of Communications (DOC). What is it with governments and changing names?). RAC and ISEDC form the Canadian Amateur Radio Advisory Board, or CARAB (yes, another acronym), and it is here that the affairs of Amateur Radio in Canada are managed. This includes, but is not limited to, working to ensure that Amateur Radio operators in Canada are able to erect reasonable “antenna support structures” (known to the rest of us as Towers) without municipal interference and getting Canadian Hams new band allocations. It should be noted that ISEDC doesn’t interface with any other organization – this includes Amateur Radio clubs, or Provincially-based Amateur Radio groups. What you should take away from that last sentence is that RAC isn’t providing this service exclusively to its membership, but rather RAC is looking after the interests of every Amateur Radio Operator in Canada. 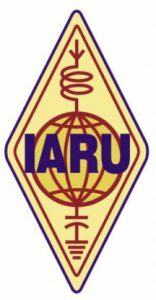 RAC is a member society of the International Amateur Radio Union, or IARU (taking a drink/shot at the mention of an acronym in an Amateur Radio-related article could be an interesting drinking game). The IARU was formed to defend the interests of Amateur Radio internationally, since a lot of our spectrum carries our emissions well beyond our national borders. In a theme common to my last point, the dues that RAC pays to the IARU are not based on RAC’s membership, but the number of Amateur Radio operators in Canada as a whole. In other words, RAC is paying dues for everyone, not just RAC members. RAC administers the Defence of Amateur Radio Fund, or DARF (take a shot). DARF was setup by two Silent Keys to fund the sending of a Canadian representative to the World Radio Conferences hosted by the International Telecommunications Union in order to defend our current spectrum and, when able, acquire new spectrum. A recent example of the work done here is the international secondary designation of a 15KHz segment on 60 metres. It should be noted that this segment was fought for and won mostly based on the superb representation of the Canadian Delegation, led by Bryan Rawlings, VE3QN. Again, these developments are for the betterment of not only RAC members, but of all Canadian Hams (see a pattern yet?). It could also be said that this specific development was for the betterment of the international Amateur Radio community as a whole. In most things, Canada has a reputation of punching well above its weight, and this is one example of that. On the Provincial level, there has been a lot of concern and action around “Distracted Driving.” RAC has been deeply involved with many of the Provincial governments in Canada to ensure our ability to operate while mobile is not hindered, or lost entirely. At time of writing, all Provinces, save Ontario, have permanent exemptions of some kind in their various legislations and/or regulations, and we are awaiting a final decision from the Ontario Ministry of Transportation on the issue of our temporary exemption within the next few weeks. All of this wouldn’t be possible without the work of dedicated RAC Board Members and volunteers across the country. What I have done is laid out the various things that RAC does for not only its members, but for all Amateur Radio operators in Canada. Without membership, RAC would be unable to discharge those duties that ensure the continuance of the service within Canada. RAC estimates that only one third of licensed Amateur Radio operators in Canada are members of RAC. That means that one third of the Hams in Canada are footing the bill for the other two. Will RAC ever see 100% membership? Of course not, but I think that we can do better. So, why should you join RAC? Because, if you are an Canadian Amateur Radio operator, it should be incumbent upon you to support the national organization that works to ensure that the service is protected, fairly administered, advocated for and advanced, and to share in the responsibility to ensure RAC’s continued success. Something else to consider is that, as a member of the IARU, membership dues are based on the number of hams in the society, not just RAC members. That means that RAC members are subsidizing all those who choose not to join. It’s perplexing to think that few would consider driving a car without paying for a license, expecting cell phone service without paying fees etc. but many take the privilege of operating amateur radio for granted.